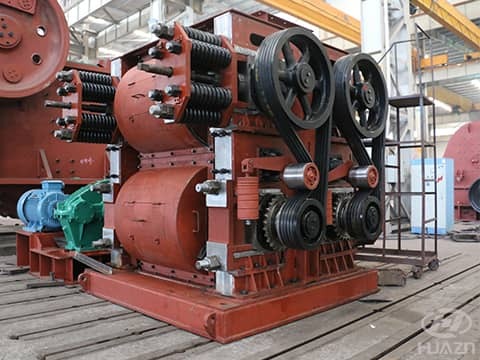 How to maintain the double roller crusher to make it play its maximum effect? Today, we will talk about the maintenance of double roller crusher. 1. It is strictly prohibited to enter unbreakable materials. If necessary, iron remover can be added or other measures can be taken before feeding hopper. If it enters the machine, it should be taken out immediately. 2. When the crusher works, the safety adjustment spring must have enough pressure to ensure the product granularity and quality. 3. The material should not be too large, so as to prevent the roll skin from being damaged due to insufficient angle of the roller. 4. The center line of two roller should be kept parallel in working condition. 5. Check the finished product granularity frequently. 6. Ensure the uniformity of feeding materials.